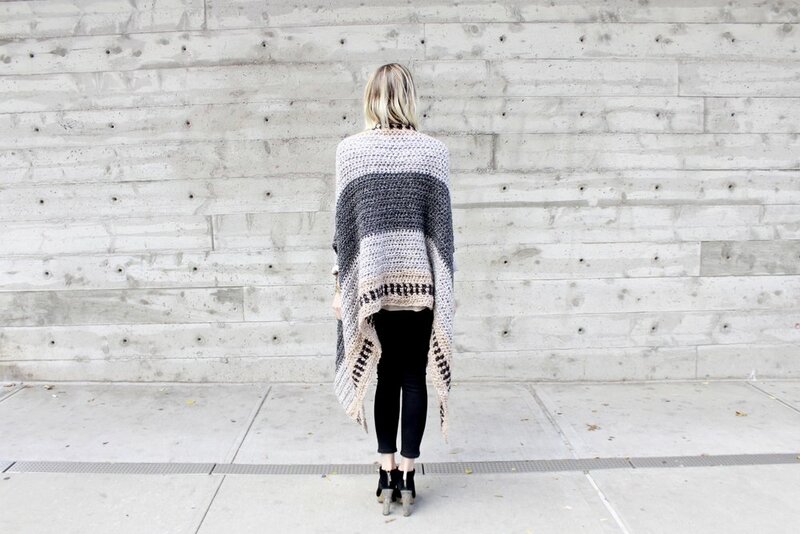 This winter's must-have accessory: the cape scarf. Part cardigan, part poncho, part wrap, part scarf, this easy-to-wear piece can be worn under a coat or thrown over a fitted jacket and will instantly bring your ensemble up a level. 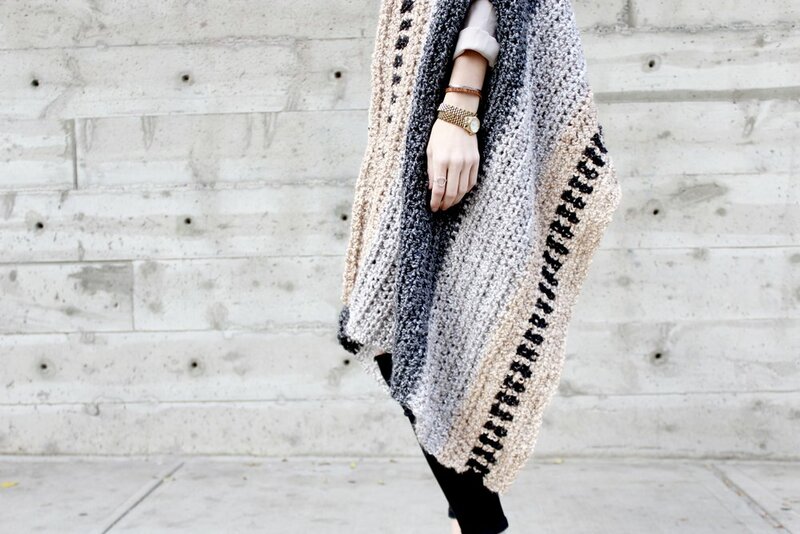 It's also the ultimate cozy couch potato wrap! This pattern is part of a collaboration with Lion Brand Yarn Company using their Homespun yarn. To purchase a kit please visit their site here. This is an easy level crochet pattern and the techniques involved are half double crochet, foundation half double crochet, single crochet, and chaining and skipping stitches.